1. Boy, are they sorry. 2. Sad, but hopeful music plays everywhere they go. 3. Everyone working for BP was either been born in, or currently lives on the Gulf Coast, and everyone loves New Orleans. 4. Everyone’s natural speaking voice is humble, empathetic and contains a southern accent. 5. Everyone smiles, except when they appear worried and/or concerned. 6. Nobody who works for BP appears to be getting sick at all. 7. Everyone plans to “make it right,” in their own way. 8. Everyone who works for BP really loves BP, and you should too. 9. BP loves the New Orleans Saints, and all their fans almost as much as they love the Gulf Coast. 10. 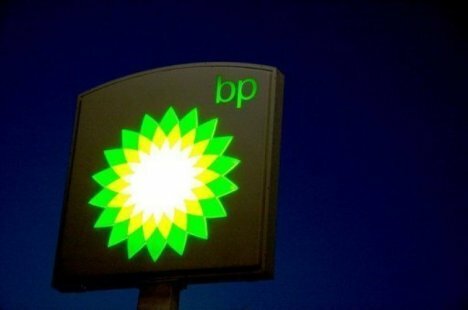 BP is being as transparent as their lawyers will allow. 11. They aren’t perfect, but beyond the explosion that killed eleven men and spilled the 4.1 million barrels, they’re pretty close. 12. BP is taking full responsibility for cleaning up the Gulf, not part of, or a bit of, but full responsibility, full. 13. Of the $93.4 million they’ve spent on advertising, they paid their writers about $15 dollars. 14. You may have heard no more oil is flowing into the Gulf, and if you haven’t, they just told you. 16. They will be there as long as it takes. Why? Because they love the Gulf Coast, that’s why. 17. Nobody who works for BP appears to be angry about the oil spill. 18. Did you hear about the $20 billion dollar escrow account? 19. Again…boy, are they sorry…and did you know they are taking full responsibility for cleaning up the Gulf, and that yeah, they’re sorry? 20. Oh, and $20 billion dollars, not 5 or 10…but $20 billion dollars. Nice, like British Petroleum…$20 billion dollars, so (responsibility) sorry y’all. Go (making it right) Saints! Oh, bloody hell. Read “This is a moment without apology…” on my feedreader, clicked over and got an error. I really wanted to share it. Closest thing to a NOLA righteous rant I’ve seen since Ashley Morris died. Won’t you bring it back? The concern I had, of course, is that was the post that may have crossed the line…a few beers and such that night. Was it honest? Very much so…however, also not real substantive.,which bothered me more than anything else, perhaps I could flesh it out.